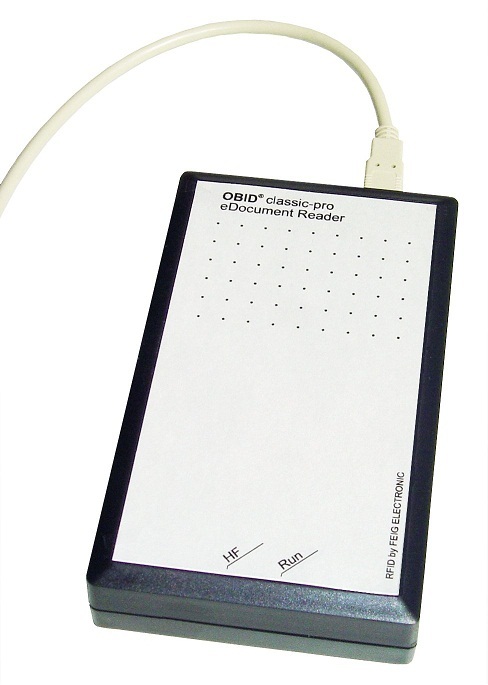 This HF desktop reader supports transponders according to ISO 14443-A and -B with a data transfer rate of up to 848 kBit per second. The reader comes with a high-speed, USB 2.0 interface providing a very fast data transfer rate. The reader guarantees the full support of ISO 14443-4 functionality with the T=CL protocol, simplifying the integration of the reader. The Software Development Kit (SDK) provides a high level command, control and configuration interface for Windows DLLs and finally a PC/SC driver to ensure a fast and reliable integration into existing systems and applications. The reader is suitable for applications like ticketing and electronic fare management. The transponders supported are mifare ultralight, mifare standard, mifare DESFire, Smart MX, my-d proximity, SLE66CL…, ST19XR…, Jewel etc.